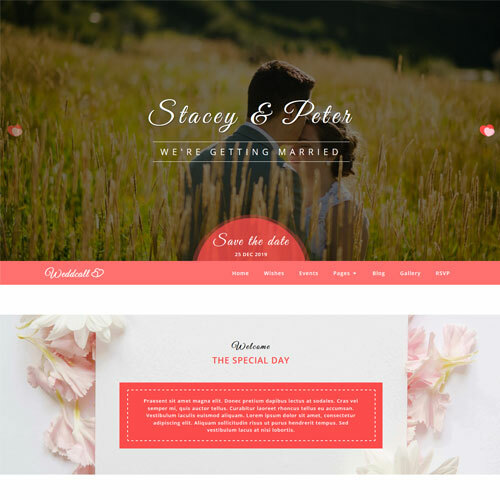 If you are looking for lovely wedding website templates to present your business online, this is the right place. ThemeVault gives you professionally designed perfect wedding HTML template to choose from. Our eye-catching and neatly designed wedding templates are customizable as per your need. 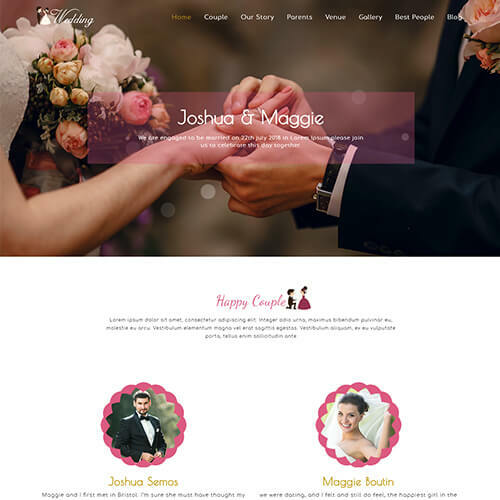 The sweet responsive templates are designed with bubbly images, pretty font style, effective social icons, story calendar, ravishing gallery, love countdown, gorgeous bridesmaids & handsome groomsmen, smashing wedding journal, blog spots using HTML and CSS3. Our wedding templates help you to save your sweet memories by transferring your wedding ceremony onto a digital canvas. All templates are very code-light, quick to load, and has a clean look that iss ideal for wedding websites. So download the perfect wedding HTML website template from our website and our team will always be ready to help you in case of any difficulty.